Why you are interested in working for that particular organization. Think about what draws you to the company, things such as the work they do which you’re familiar with and admire, their favorable reputation within the industry, an interesting company culture that you feel you fit well into, recent news about the company, involvement in philanthropic endeavors, etc. Why are you looking to transition into a new industry? If your goal is to move into an organization within a different industry, you will want to discuss what interests you specifically about that industry, as well as what kinds of qualifications and skills you have that would be transferrable. Hiring managers are always concerned about whether or not the transition will be easy for someone who lacks specific industry experience. You want to communicate that you do have knowledge and understanding of the industry and what would be required for someone looking for a position within it. Why are you looking to make a career change? If you are changing career focuses, the cover letter is a great place to discuss your reasons and interests behind doing so. If your target field is of personal interest, what kinds of independent projects, research, or reading do you do on a regular basis, and what kind of reward do you get out of it? If it’s a professional interest, how might it draw upon your best talents and skills that have helped in a previous career path? What other unique attributes do you bring to the table, that may not be evident on your resume? A resume follows a very formal structure that doesn’t always allow for inclusion of certain information that might be pertinent or interesting to hiring managers. Things like travel experience, personal projects, side businesses or freelance work, or other outside activities and interests are good examples. Perhaps you have a personal blog that caters to a specific subject matter area that your audience might find interesting. It may not fit or be appropriate for your resume, but the cover letter is an excellent space to include these additional bits of information, so long as they’re relevant. 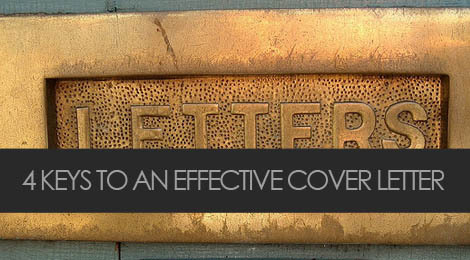 In about two weeks I’m going to be debuting my Cover Letter Writing Guide as part of a fantastic job seeker DIY kit, complete with resume and cover letter writing guides, templates and sample email marketing scripts that you can use for following up, reaching out, and making connections with new contacts, leveraging existing contacts, and getting the attention of hiring managers. Stay tuned for more details on that. Tags: career, career change, communication, cover letters, job search, personal branding, resumes. Bookmark the permalink.